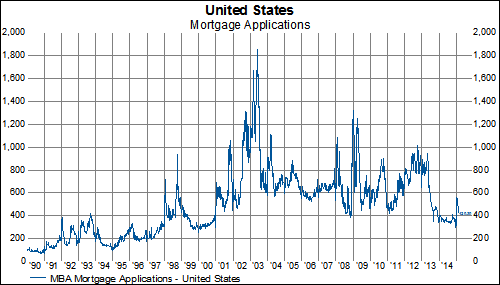 After starting the year off with a bang (thanks to refinancing activity), US mortgage applications are tumbling back towards the depressed 2014 levels. 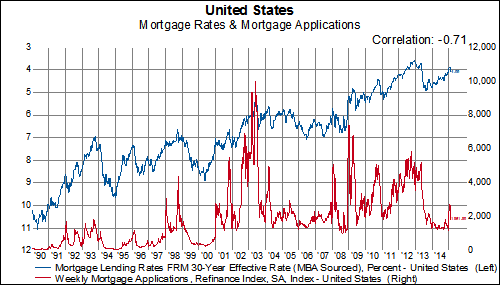 Mortgage apps fell for the third straight week even as the purchase index rose for the first time in seven weeks. 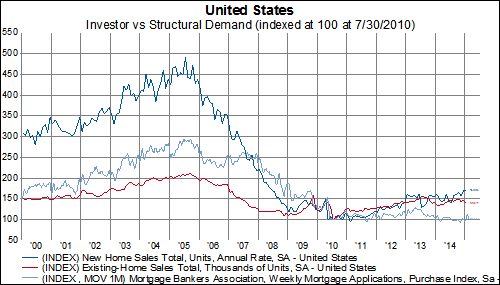 It hasn’t taken much of a back up in interest rates for refinancing index to make a 180 degree turn. 30-year mortgage rates hit 3.87% on January 30th and have since moved up 22 basis points to 4.09%. During this time, the refinance index has fallen by 30%. The purchase index just can’t get off the mat. It remains near the lows of the past five years. 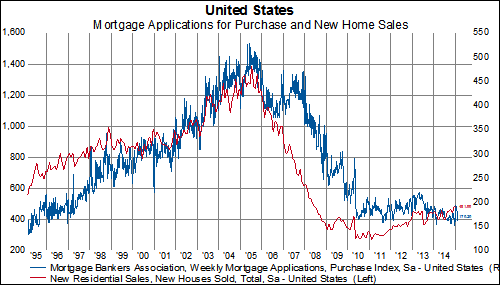 New home sales are nearly 70% higher than they were in the July 2010, however, the mortgage purchase index is only 2% higher.